They say dynamite comes in small packages. And at just over 4 feet tall and 60 pounds, Morgan McDonald Jr. is a firecracker. 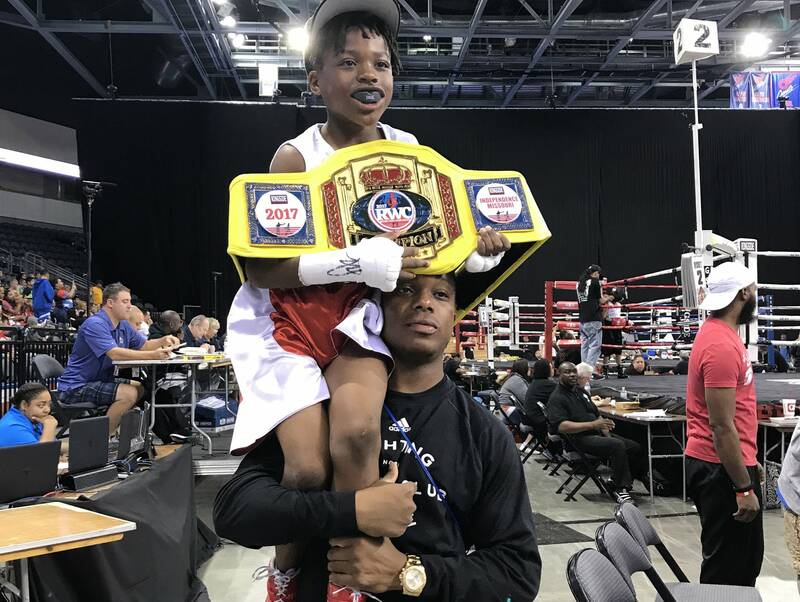 On a recent weekday afternoon, the 9-year-old was throwing a series of combination punches at a trainer who absorbed the blows with what looked like a pair of catcher's mitts. 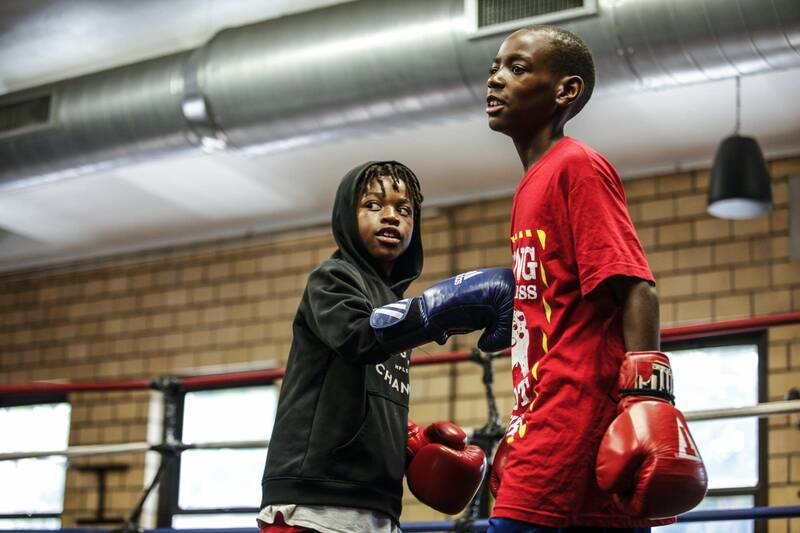 Morgan was just one of the young pugilists practicing his hooks and jabs at the Northside Boxing Club. Watching from outside the ring was his father, Morgan McDonald Sr., who's a dean at the nearby Lucy Laney Elementary School. He pointed to one young man in the ring who weighs in at around 106 pounds. "Before he started boxing, in the neighborhood, he used to get picked on. They used to pick on him. But now, he's a champion," said McDonald. 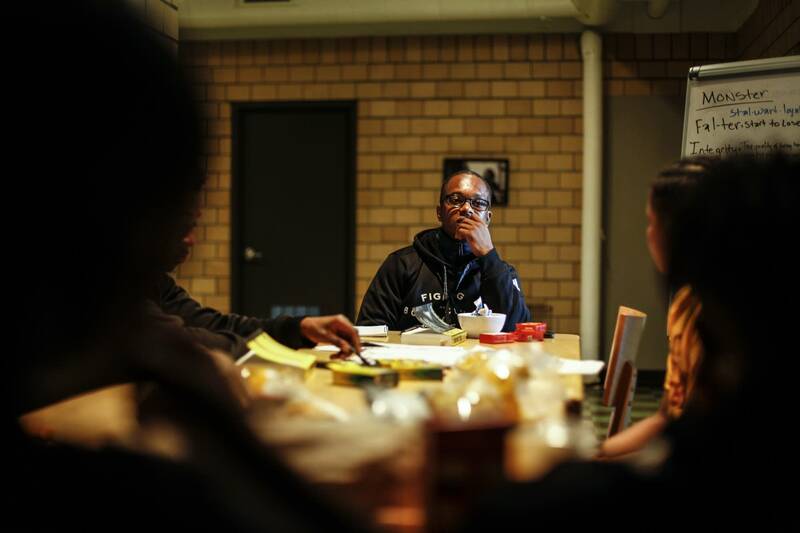 Summer is a dangerous time for young men of color. 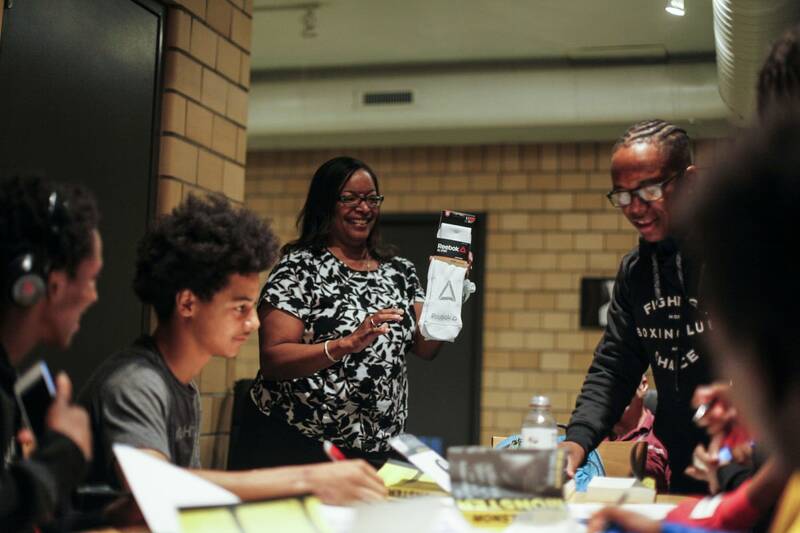 Spikes in violent crime disproportionately take the lives of young black men. McDonald volunteered to start a summer enrichment program at the gym to help young people from ages 8 to 18 get a workout for their brains and bodies. 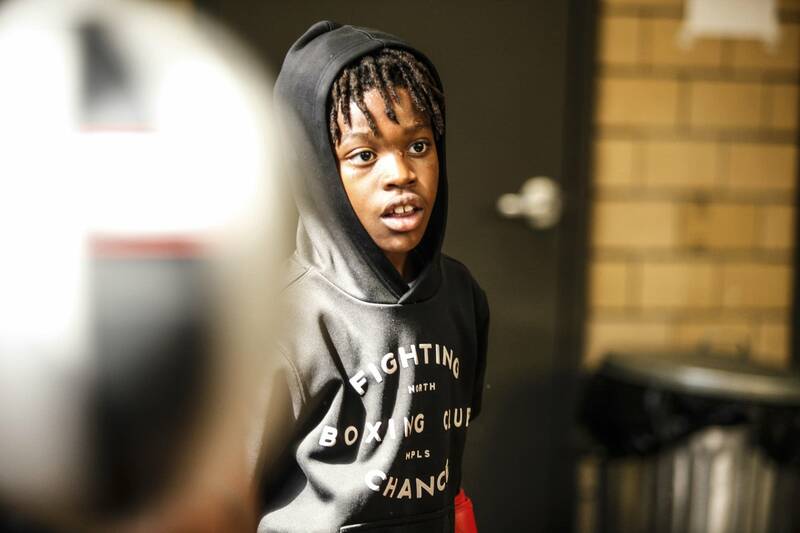 He also hopes boxing will give the young people in the program the confidence and ability to defend themselves. 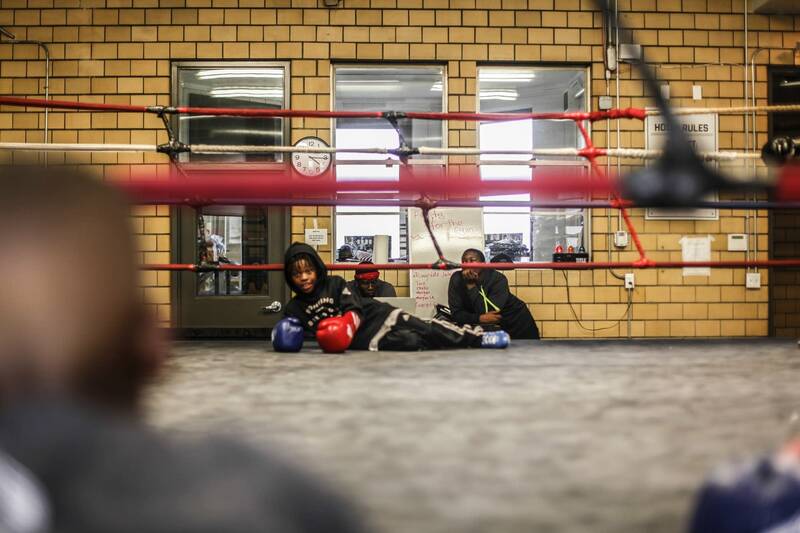 The program starts at 2 p.m. every day, but some kids come to the north Minneapolis gym in the mornings so they can spend more time training. Deshaun Pongsak — who goes by his initials, D.P. — was working out on a heavy bag, practicing his footwork and agility. Pongsak, who's in sixth grade, isn't worried about kids trying to beat him up. But he said it's good to be ready. "Yeah, because if you didn't have that type of agility, you would just be punched up and stuff," he said. "You wouldn't be as fast as you want to be." 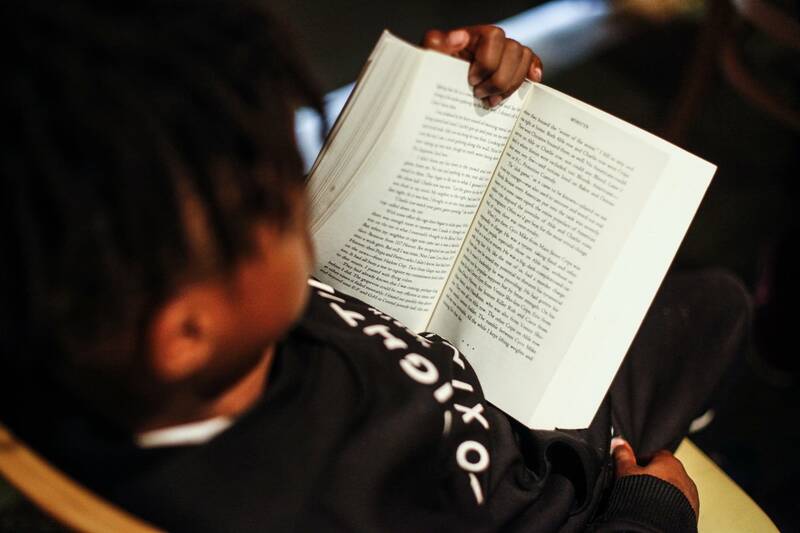 Students also hit the books. 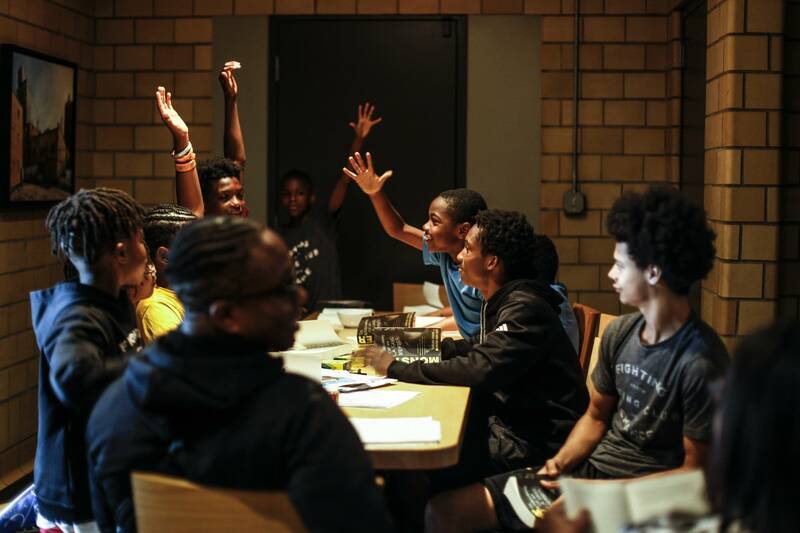 In a room above the gym, which is housed in a former firehouse, seven boys and one girl — McDonald's daughter, Aniaya Beasley — sat around a long table for a book discussion over sandwiches and granola bars. 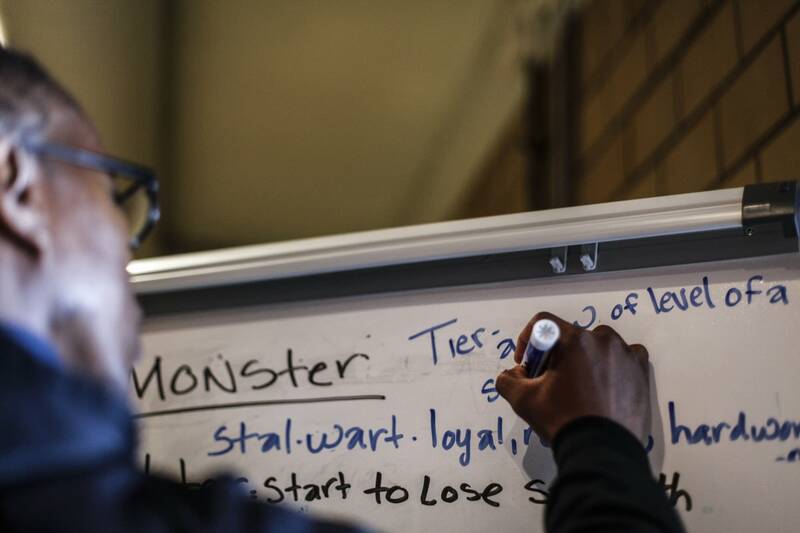 They were almost finished with the book, "Monster: The Autobiography of an L.A. Gang Member," about the notorious gangster Kody Scott. A central theme of the book, McDonald said, is that the gangster lifestyle catches up to people like Scott — who was shot several times by rivals and spent many years behind bars. McDonald said he understands some of the subject matter is strong, but the students are hooked on the book. And some of them, he said, live in or travel through neighborhoods where gang activity is part of everyday life. "I tell y'all, just be good people," he said. "Have good hearts. Keep good spirits. Have positive energy all the time." McDonald said the program keeps students busy and out of harm's way. And after a day's worth of training, learning, occasional field trips and even more training, he said, the kids are often too tired to do anything else.